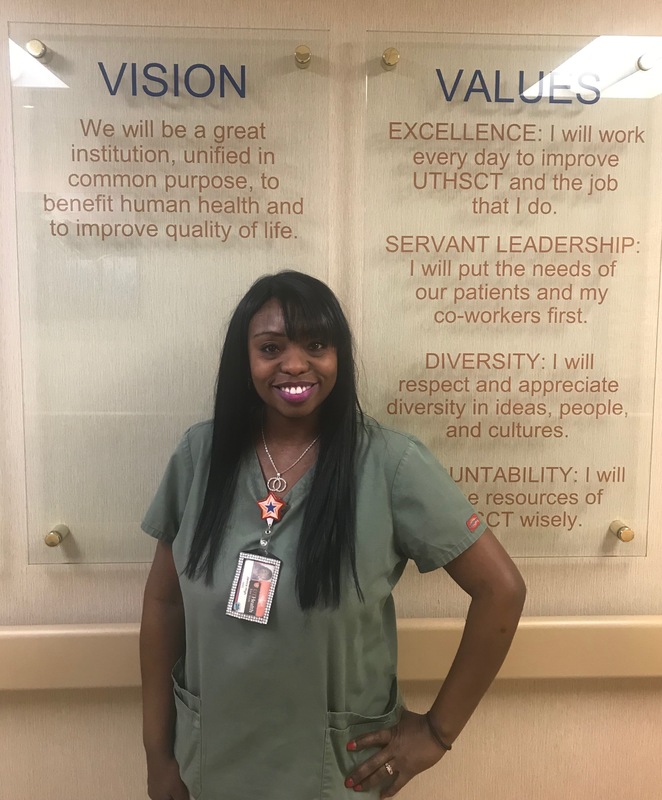 EVS team member Janice High was recently recognized by the administration team at her facility in Tyler, Texas for providing a true act of kindness to a patient in need. Janice had overheard a conversation between a nurse and a patient, in which the patient mentioned that she did not have any shoes to complete her rehab. Janice took it upon herself to help the patient, offering her the shoes right off of her feet. The patient accepted the shoes and was able to complete her rehab because of Janice’s kind gesture. To thank Janice for her good will, her story was shared in the facility’s newsletter, and Janice was formally recognized and thanked on stage at the facility’s town hall meeting.